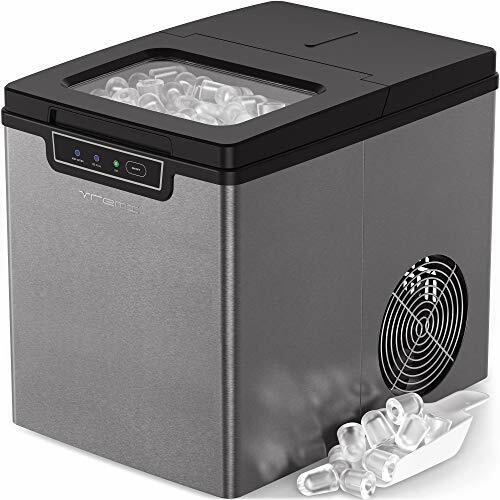 With the Vremi Portable Countertop Ice Maker, you'll never run out of ice when you need it. 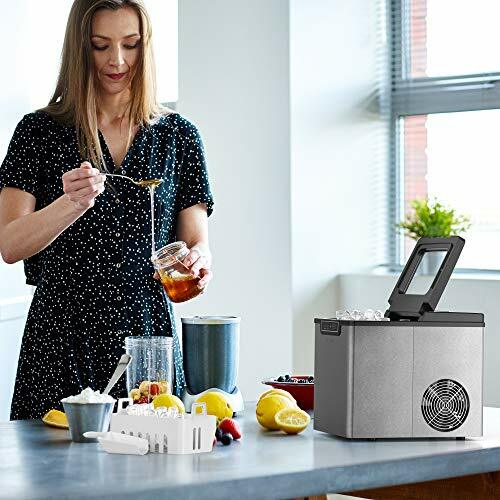 Our energy-efficient compact ice making machine keeps parties and family dinners alive with ice whenever and wherever you need it. 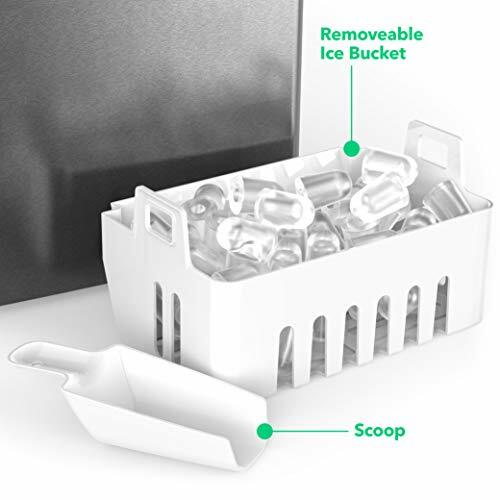 In just 8 to 10 minutes, you'll have smooth, bullet-shaped ice that makes any drink cooler. 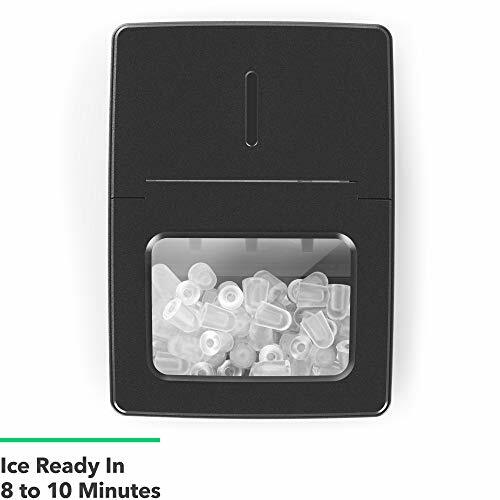 We make ice easy; with our ice maker, there's no complex installation to worry about and our automatic shut-off function and warning lights helps stop problems before they start. 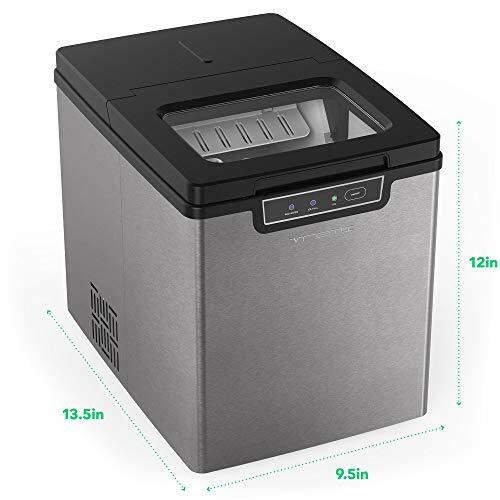 With a new, easy-to-use control panel and a modern silver and black finish, it's perfect for kitchens, an rv, boats, bars, patios and more! 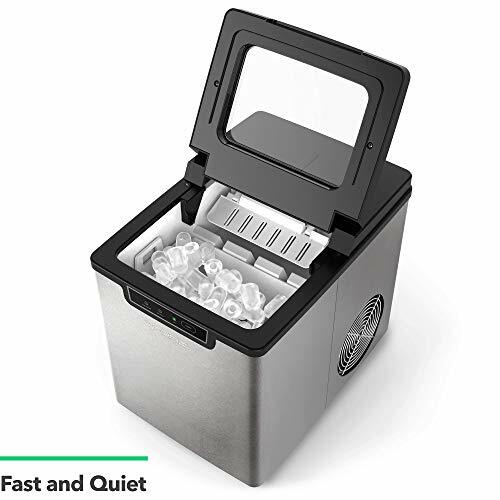 Your drinks will be cool and your gatherings chill. 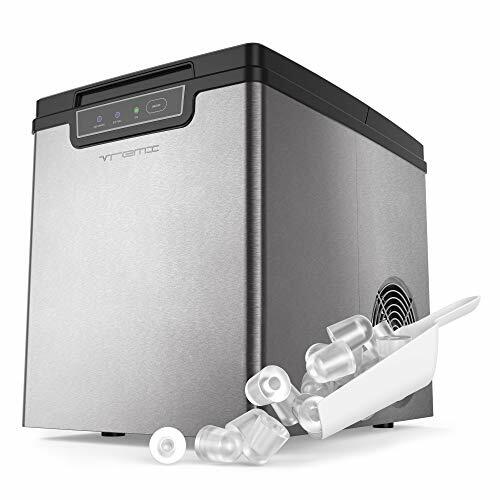 Enjoy easy, breezy, and freezy fun with the Vremi Countertop Ice Maker.